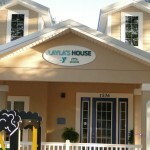 Located in the heart of Tampa’s Sulphur Springs neighborhood, Layla’s House is a community-based learning center that provides caregiver-child learning opportunities and resources for parents of children aged birth-5, as well as for expectant mothers. Every child can succeed and the early childhood years are key to building a strong foundation for future success. 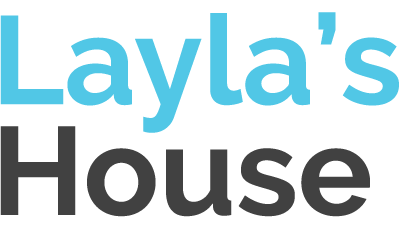 Layla’s House assures every young child in Sulphur Springs and surrounding areas has a safe, healthy and wholesome early childhood, providing a foundation for them to enter school ready to learn. Baby University: A 7-week prenatal and newborn parent education group. This series will cover everything expecting parents need to know in preparation for the arrival of their new baby. Topics covered include forming healthy attachments, newborn care, childbirth education, child safety, car seat safety, promoting healthy brain development through play, a preview of our Boot Camp for New Mom’s and New Dad’s service, and what to ask the pediatrician about your baby’s health & nutrition. Child Birth Express: A 6-hour course covering all aspects of the childbirth experience. New Moms' Club: An 8-week course on the successes and challenges of being a new mom. In this class, new moms come together to share in the day-to-day lifestyle of new motherhood, all while enjoying crafts and activities. Session topics include stress reduction strategies like yoga, breastfeeding & bottle-feeding concerns, pregnancy support with certified Doulas, pospartum care, self-care, and time management. Baby Café: Breastfeeding education and services. We offer free, weekly breastfeeding support and one-on-one consultations with certified International Board Certified Lactation Consultants. To learn more about Baby Café, visit our ABC Program page. Playgroup offerings included Baby & Me, Wonder Years, Growing Together (bi-lingual), Little Amigos (bi-lingual), and Music & More. To read all about these playgroups, visit our Baby Bungalow program page. Little STEAMers: A playgroup for children aged 1-5 focused on exploring Science, Technology, Engineering, Art & Mathematics.. This special 2-hour playgroup includes circle time with stories and song, circling through educational centers including craft station, outside play, snack, and ending circle time. Nurturing Dads: A 13-session group-based program for developing attitudes and skills for Male nurturing. Participants learn to support positive relationships with their children and share non-conflictual parenting responsibilities with mother(s) of their children.To read all about Nurturing Dads, visit our FRANC program page. Community Events: Every month, we offer lots of fun, enriching opportunities for the Sulphur Springs community. These events include holiday celebrations, block parties, breakfasts, and much more! Check out our calendar to keep up-to-date on these great events. Special Topic Workshops: Classes on a variety of topics from parenting to smart finances. We frequently offer free workshops on important topics like improving your family’s financial health, budgeting, good nutrition, and more. To view current special topic offerings, take a look at our calendar.